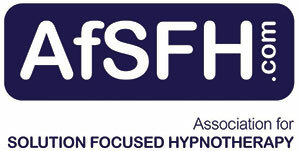 So just what is hypnotherapy? If you’ve never experienced hypnotherapy, it may all sound a little: strange, scary, ‘alternative’, spooky, silly, left-field, mystical, unconventional or even dangerous. For many, the image you may have is one formed from TV entertainment shows and stage hypnosis acts; phrases like ‘look into my eyes’ and images of swinging watches are often what spring to mind, but hypnotherapy has come a very long way since the 1700s and is highly respected. It is used in a number of hospitals, including Cancer Care in Cardiff University Hospital and IBS Research in Manchester University hospital. Modern hypnotherapy is very different from ‘stage hypnosis’. During Solution Focused Hypnotherapy clients have reported a positive, relaxing and energising experience which is safe and effective. OK so you know what it can help with, but what exactly is Solution Focused Hypnotherapy and how could it help you? Solution Focused Hypnotherapy is a combination of Solution Focused Psychotherapy and relaxing hypnosis, where therapist and client work closely together, usually on a weekly basis for a fixed number of sessions. You will be encouraged to develop a picture of where you would like to be, and each week you will develop and take small steps towards achieving this goal. The therapy works quickly but it is dependent on your full commitment as a client; you will agree tasks during each session, and each task will contribute to your overall growth and development. 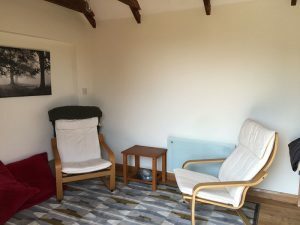 The first visit consists of an initial consultation – this usually lasts around 30 to 40 minutes and involves you explaining why you are seeking hypnotherapy. You will be asked some background and medical questions so the therapist can build a picture of you and how you are affected, what you want things to be like in the future and what ‘resources’ you may have to help you get there. Once you’ve explained why you are seeking hypnotherapy, the therapist will then give you an overview of how our brains work, how anxieties and depression take over our lives and what we can do about it. We will look at how our primitive mind frequently steps in to help us, thinking it is protecting us, how our survival mechanisms have become confused with modern day living. 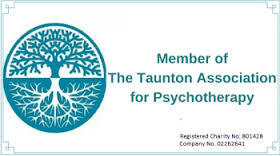 The hypnotherapist will explain how negative thinking creates anxiety and how we manage or in most cases don’t manage our stress levels, the importance of sleep and what happens if we don’t ‘discharge’ our daily events through our natural sleep patterns, as well as looking at the chemicals our brain triggers and the physiological effect these have on our body. Then, when you’ve gathered your breath we’ll end the initial consultation by hopefully demystifying the terms ‘trance’ and ‘hypnosis’, ready for your first session the following week. All subsequent sessions will follow a pattern. This is fundamental to Solution Focused Therapy which is based in part on the latest neuroscience, which highlights the significance of learning by repetition. You’ll be able to see the progress you have made along your own scale of success. And yes, you are probably still wondering what the hypnosis bit is like! Well, everyone has their own take on how it affects them, but most of my clients will say it’s like being in control, but extremely relaxed and peaceful. The idea behind hypnosis is that we gain access to the subconscious mind; many of our anxieties are unconscious – we don’t ‘want’ to be anxious. After all, the whole reason you have sought out hypnotherapy is because you want to change something, and we all have the ability to make changes. It’s often the process of retraining our brains, relaxing, reducing the levels of stress we take on board, focussing on those positive things (interactions, activities and thoughts) – if we can get on track, the journey for change and a positive future is in easy reach. The trance part of each session lasts about 25 minutes. It’s safe and, although relaxed, you will hear my voice but you will always be in control – if you wished, you could stand up and walk out, but as the experience is pleasurable you usually drift into a state of focused attention, your subconscious mind receptive to my words which are chosen specifically to help you. You may drift gently and, at the end of each session, leave with a calm, relaxed and confident feeling. Positive images linked to the solutions that you have discussed at the beginning of your session will subsequently be supported by listening to the CD every evening, another key part of the complete therapy experience. We would normally see clients at weekly intervals and treatment would normally take over 8 – 12 sessions, though this will vary and is dependent on each client.